5-1 Are Japanese and Japanese American children bullied due to the “comfort women” memorials? Japanese conservative media reporting these cases have claimed that the bullying and hate crimes against Japanese and Japanese American children and adults have become rampant in Glendale since the enactment of the “comfort women” statue. Right-wing comic series Manga Dai Kenkanryu (Manga Big Hate-Korean Wave) and Hinomaru Gaisen Otome (Rising Sun Flag Demonstration Girl) also describe rampant bullying supposedly taking place in Glendale. 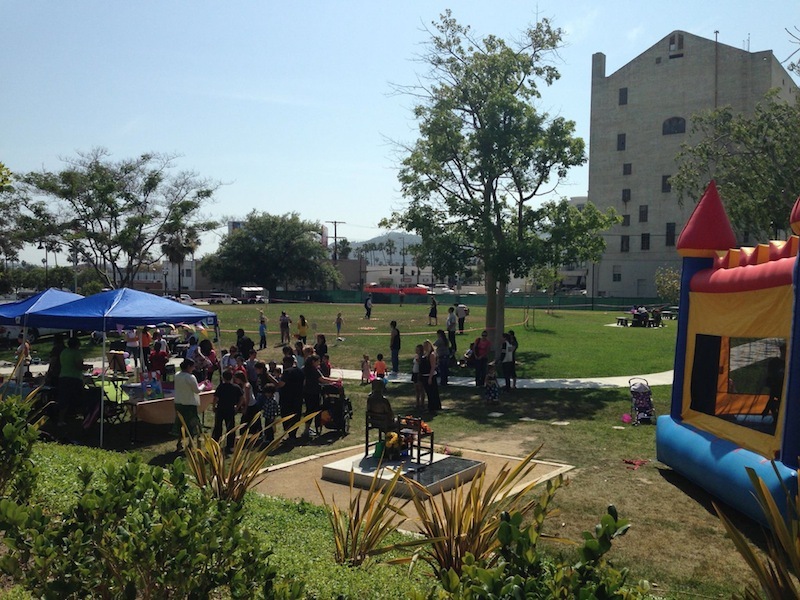 Additionally, a delegation of municipal legislators from Japan led by the Suginami Ward (Tokyo) assemblywoman Yoshiko Matsuura has claimed that Japanese children are being bullied and harassed by Koreans in Glendale. Nonetheless, Japanese American groups in the area have told reporters that they are not aware of any such incident. Glendale police department and its school board have not received any reports either. Japanese Embassy in Washington D.C. as well as Japanese Consulates in Los Angeles, San Francisco, Chicago, and other cities have posted a request on their websites asking Japanese nationals who have experienced bullying, harassment, and other offenses related to “so-called historical issues” to contact them. But according to an article in Tokyo Shimbun (August 29th, 2014), Japanese Ministry of Foreign Affairs have not received any report concerning a concrete example, and no such incidents have since been reported in the media either. Member of the Parliament (the House of Representatives), then, Mio Sugita of the Party for Future Generations who have visited Glendale also stated, “I heard that Japanese children are bullied, so I wanted to speak with the parents of these children and hear their experiences, but could not meet any of them. Therefore, I do not know specifically how they are being victimized. But others I spoke to have told me that some sort of bullying seems to be happening in the area.” Likewise, Matsuura’s delegation mentioned above have only been able to collect rumors of bullying, not actual reports from any victims or their families. GAHT’s suit against the “comfort women” statue in Glendale does not mention any bullying against Japanese or Japanese American children. Similarly, the case brought against the Asahi Shimbun newspaper in Japan by Japanese nationals residing in the U.S. over its reporting of “comfort women” issue does not include any specific claim regarding the bullying against Japanese children. 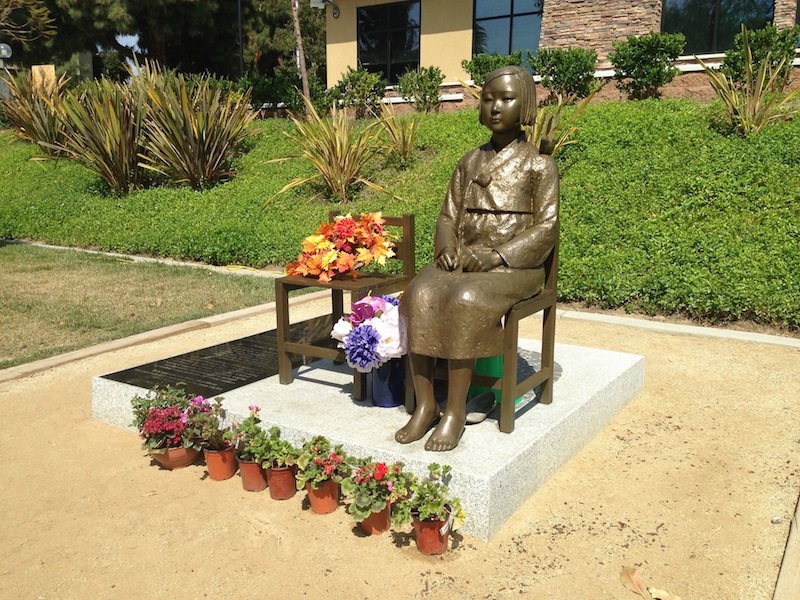 Some conservative media have claimed that the bullying against Japanese children over the “comfort women” statue has proliferated beyond Glendale to other parts of the U.S. For example, journalist Shigeharu Aoyama reported on Kansai television in May 2014 that Japanese children were being bullied in San Jose, California, more than 300 miles away from Glendale, where he had just visited. However, the organization that invited Aoyama to give a lecture in San Jose denied that such incidents had been reported in the area. No public institutions have so far confirmed that Japanese children are bullied as a result of the enactment of “comfort women” statues and memorials. While the lack of reports does not necessarily indicate no such bullying has ever occurred, we can at least conclude safely that there does not appear to be an epidemic of pervasive and rampant bullying against Japanese and Japanese American children across the United States as claimed by the conservative media. 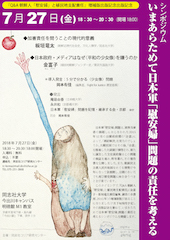 Emi Koyama, “Beikoku ni Okeru ‘Ianfu’ Zō to Nikkei Shakai” (The “Comfort Woman” Statues in the U.S. and the Japanese American Community), Kikan Sensō Sekinin Kenkyū (The Report on Japan’s War Responsibility), Nov. 83, Winter 2014: 25-31. Tokyo Shimbun, “Kochira Jōhōbu: ‘Ianfu’ de Iyagarase? 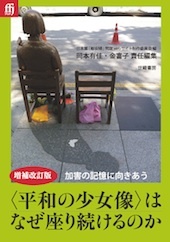 Uha Seiryoku Kenen Aoru” (Information Section: Bullying Arising from “Comfort Women”? The Right-Wingers Incite Concerns.) August 29, 2014.